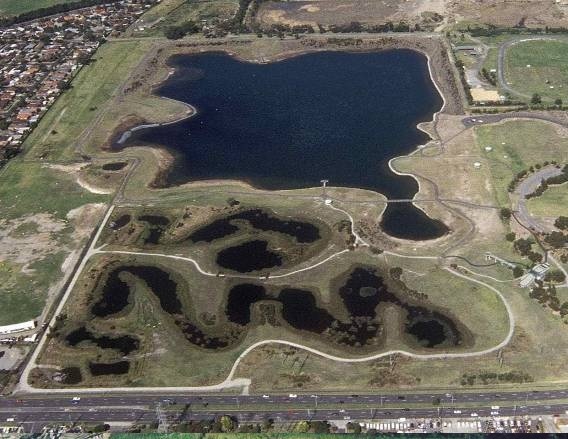 The award winning project, Karkarook Park wetland, flood detention basin and recreational lake, Heatherton, Victoria, is highly commended in industry best practice as an example of excellence in sustainable development and management of the natural environment. Our staff when at URS (formerly Woodward-Clyde) were engaged as project managers and principal design consultants for the design and early phases of the project. Fisher & Fisher have project managed the project to practical completion in 2005. 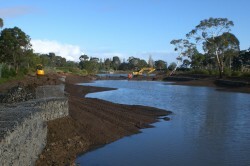 Works include contract management of the lake edge completion works, aquatic planting margins and preparation of an operations and maintenance manual. 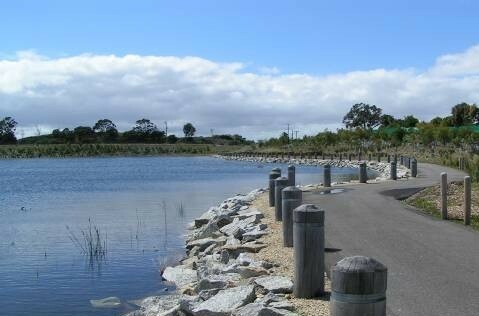 As a requirement for a sand mining approval CSR was contracted to construct the wetlands and lake to progressively rehabilitate the site. The project had several objectives, to provide a sand resource, to be developed into a public park with wetland and lake, to improve stormwater water quality via gross pollutant, oil and nutrient removal, act as a retarding basin for 100 year ARI storm events and form part of a belt of recreational parks through the South East Melbourne area. The detailed design included a comprehensive groundwater and surface water study and engineering and landscape design. 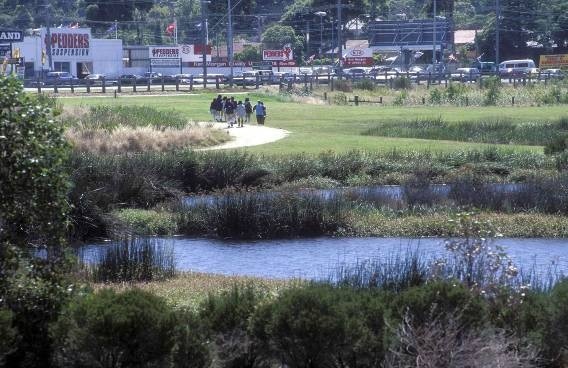 The groundwater study included assessment of pollutant loads and groundwater movement in 2 separate aquifer systems, and modelling for potential lake filling water. Surface water modelling was undertaken for the upstream catchment for events up to the 100 year ARI storm. 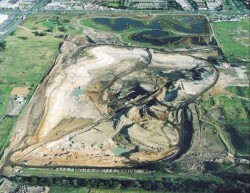 Water quality assessment, design of gross pollutant and oil removal facilities, an assessment of groundwater impacts, 3 dimensional modelling of the landscape for visual presentation, volume balances and modelling using a mining based computer application (Surpac-Entec) and water balances for the system as a whole in a variety of meteorological conditions were also carried out. 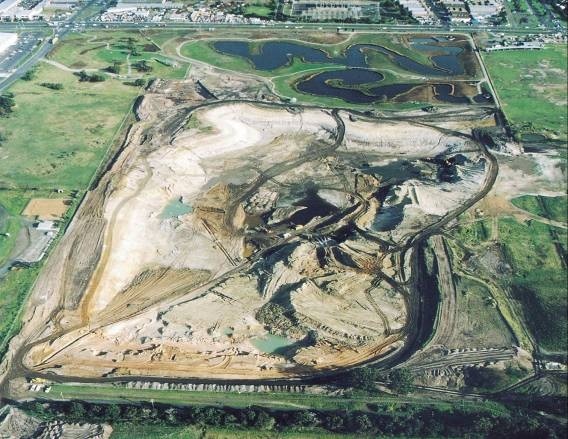 Geotechnical studies have included slope stability of excavations above and below water, management of soft compressible materials. Investigative models of the pollutant load assessment included the design, installation and monitoring of automatic stormwater samplers. 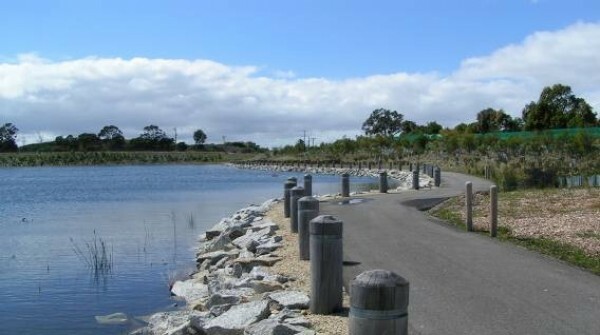 Karkarook Park was a finalist for the 2005 Banksia Environmental Foundation Awards for Environmental Leadership in Infrastructure and Services, and was awarded 2005 Victorian Department of Primary Industry Awards – Highly Commended in Industry Best Practise, Gold Award for Management of the Natural Environment and Platinum Award for Excellence in Sustainable Development.